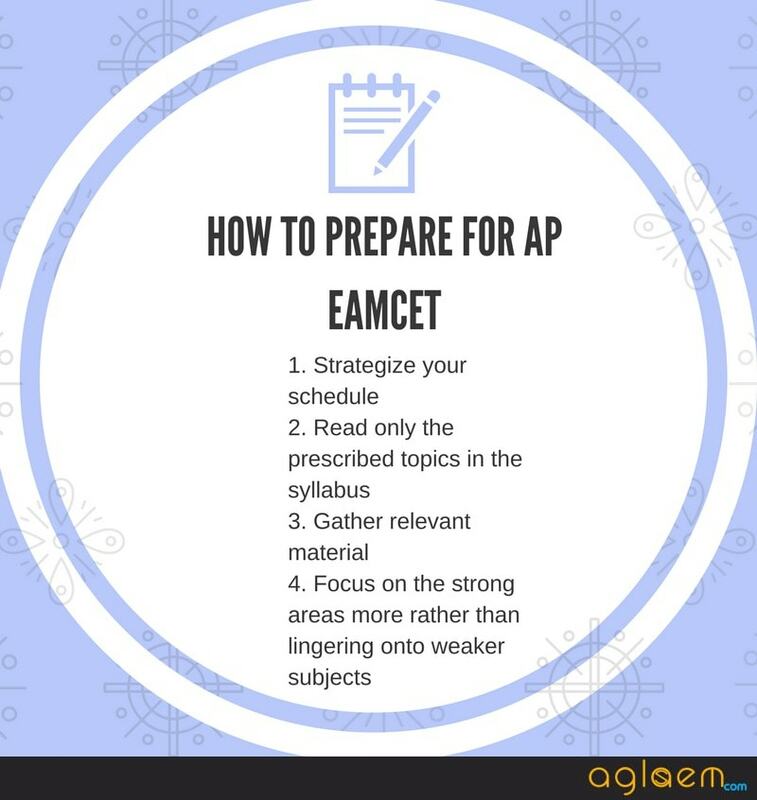 AP EAMCET 2019 is to be conducted from April 20-23, 2019. 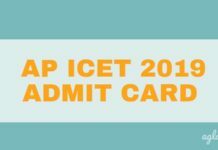 The registered candidates have been issued AP EAMCET 2019 Admit Card on April 16, 2019. The admit card has been released online, sche.ap.gov.in. 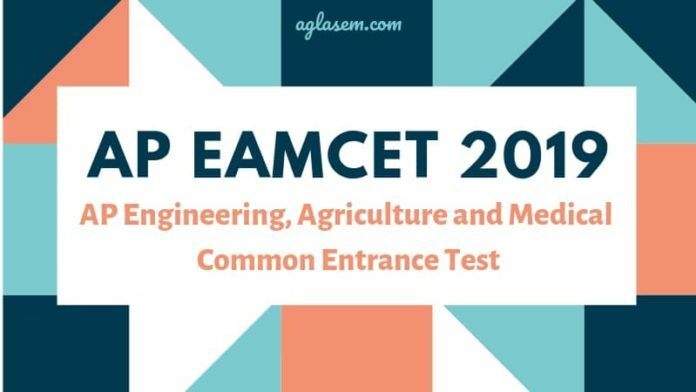 Andhra Pradesh Engineering, Agriculture and Medical Common Entrance Test (EAMCET 2019) is a state level entrance exam which is conducted by Jawaharlal Nehru Technological University Kakinada (JNTUK). It is an online exam which is held for admission into various professional courses offered in University/ Private Colleges in the state of Andhra Pradesh. 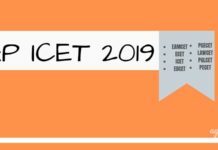 Check the complete details on AP EAMCET 2019 from this page. 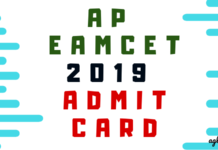 Latest: AP EAMCET 2019 Admit Card released. Download Here. 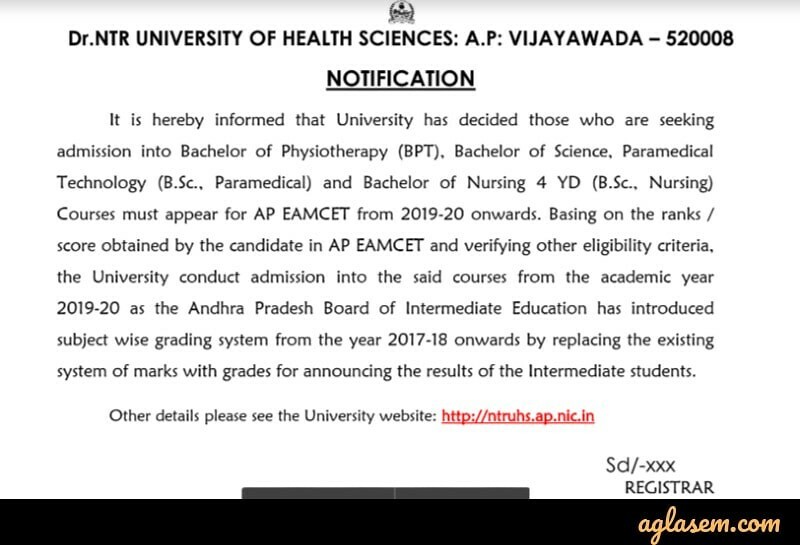 The exam conducting body has notified that candidates who wish to seek admission into BPT, Bachelor of Science, BSc Paramedical and BSc Nursing have to mandatorily appear for AP EAMCET 2019. The candidates are shortlisted for admission in these courses on the basis of marks obtained in the entrance exam. Visit the official website or, click on the direct link to download admit card. The exam pattern for AP EAMCET 2019 is as follows. Note that the candidates have to appear in the exam as per the choice of their course. Subjects for Engineering– Physics, Chemistry, and Mathematics. Marking Scheme- 1 mark for each correct question. The AP EAMCET Syllabus remains the same every year. Therefore, the candidates can check the syllabus given here. (B) For Agriculture and Medical Stream: For this group, the candidates have to concentrate on Botany and zoology instead of Mathematics. The topic for Physics and Chemistry is the same as the engineering courses. The conducting body will release the Answer Key on its official website after successful completion of the exam. The answer key consists of the correct answer to all the questions that were asked in the exam. With the help of AP EAMCET Answer Key 2019, the candidates will be able to check their probable score and estimate their chances of qualifying the entrance exam. Candidates can also raise objections (if any) in the Preliminary Answer Key within the given schedule and as per the format only. The Results for AP EAMCET 2019 will be available online on the official website. Candidates who appeared for the AP EAMCET will be able to check the result online. The University will also publish the Rank List/ Merit List online. After the declaration of AP EAMCET Result, the candidates can download their Rank Card by entering their EAMCET Hall Ticket Number, Registration Number, Date of Birth. AP EAMCET 2019 Rank Card: The candidates who will be shortlisted after the announcement of result will be able to get their rank card. The candidates will have to go to the official website and then click on the link “View Your Rank Card”. Then the candidates will have to enter the EAMCET Hall Ticket Number, Registration Number, and Date of Birth. After entering, click on the “View Rank Card” button. The candidates are advised to take the printout of the rank card for the future reference. SC/ST: No minimum qualifying marks. PIO/OCI: Decided by the committee constituted by the competent authority. The candidates whose name appear in the merit list of AP EAMCET have to attend the counselling rounds as per the schedule. To take part in the online counselling, the candidates have to register first and complete the process. Thereafter the candidates are also required to visit the assigned venue for th purpose of document verification. 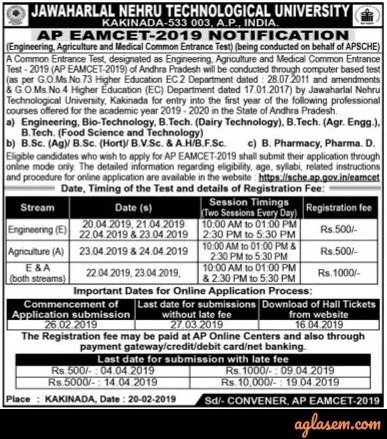 AP EAMCET 2019 Application Form is made available in the online mode only and the candidates need to submit the same in the online mode at sche.ap.gov.in. The candidates have to pay an online application fee towards the submission of the form. The candidates have to complete the application process before the deadline. Candidates submitting the form after the deadline are charged an extra amount as late fee. Application Fee for AP EAMCET: The aspirants have to pay the following amount of Application Fee. The fee is payable by Online mode and by depositing cash at AP Online Centre. The eligibility required by the university is one of the major factors that every candidate is supposed to go through. Go through the eligibility criteria provided below before applying for AP EAMCET. Age Limit: Below is the age limit criteria applicable to the courses offered via AP EAMCET 2019. Engineering: Completed 16 years of age as on 31st December of the current year of admission. There is no upper limit. Upper age limit of 22 years for all candidates is applicable and 25 in case of SC/ST category candidates. Nationality: Candidates who are from Indian National or OCI (Overseas Citizen of India) Card Holder or PIO (Persons of Indian Origin) can apply for AP EAMCET. Domicile Requirement: Must belong to Andhra Pradesh / Telangana and should satisfy the local / Non-Local status requirements. Should have passed or appeared at the final year of the Diploma examination in Engineering conducted by the State Board of Technical Education and Training, Andhra Pradesh / Telangana or any other examination recognized as equivalent thereto by the State Board of Technical Education and Training, Andhra Pradesh / Telangana. The aspirant should have passed or appeared for the final of Intermediate Examination (10+2 pattern) with Physics, Chemistry and Mathematics as optional subjects conducted by the Board of Intermediate Education, Andhra Pradesh / Telangana or any other examination recognized by the Board of Intermediate Education, Andhra Pradesh / Telangana, as equivalent thereto or the aspirants should have passed or appeared at the final year of the Diploma Examination in Pharmacy course conducted by the Andhra Pradesh / Telangana State Board of Technical Education and training. The candidate should have obtained not less than 45% marks (40% in case of candidate belongs to reserved category) in the subjects specified taken together in the qualifying examination. AP EAMCET 2019 Application Form Correction Window opens for those candidates who have registered for the exam. The exam conducting body provides only one opportunity for the candidates to correct any mistake in the application form. However, not all details can be corrected. The form correction process is divided into two categories. In Category-1, the candidates cannot edit details in the form but can submit the request for making changes to the details that fall under this category. In Category-2, the candidates need to log in to their account and edit the details by themselves. The notification is a piece of prior information to all the candidates regarding the important dates in regards to the AP EAMCET. The descriptive information is made available with the information brochure that releases most probably with the application form. The notification contains the following details.